The straight path towards financial stability begins with you developing a budget and paying off high-interest debt along with sustaining emergency funds. Even when you set aside money from your monthly paycheck to go into a savings account which is going to earn interest, nevertheless, a piece of the monetary puzzle is still going to be missing. Real money is made when you invest it, however, the complexity can be highly intimidating. The following 6 tips for beginners can help you invest your money correctly and wisely. If you want to make money in the long term, it is important that you set specific goals for yourself. For beginners, it is important that you think about the bigger picture rather than just making fast cash. For this purpose, it is important that you think about the volatile industries such as the stock market. Even with huge resources like Google’s search engine and Amazon’s digital library, you might need extra coaching. Monetary advisors are not simply a superfluous expense. 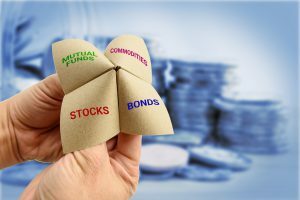 They may be able to help you in differentiating a sound investment option from simply a fad and they can give you personalized advice as well. Financial strategists, which are recommended, are avoiding TV for their stock market advice as most television critics offer only short-term information. Even when you only have a small amount of money to begin with, there are numerous small investments which can build into a significant payoff. Whenever you are new to the field of investing, you should avoid spending large sums of money, even if it is available to you. When you keep your costs lows, you will have more funds later when you want to invest in a bigger opportunity. Investment portfolios may include real estate stocks as well. Along with this, mutual funds and retirement accounts are included as well. Every industry has its own beats which actually means that you are supposed to thoroughly investigate the housing markets and stock prices before you actually dip your toe in the water. It is an understatement when we say that knowledge is power, especially when it comes to investments. Nevertheless, the complex financial jargon can sometimes be very overwhelming and complex. Therefore, it is important that you conduct in-depth research before deciding to invest somewhere. This research can make or break your investment, not to mention your bank account. Most of the time, investments lead to loss only because the investor had not really paid attention to completing their research. There are numerous types of investments that can be done with automatic contributions. For instance, a 401(k) plan or even an IRA is a great way to investment your money. Low-cost finds are considered to be the best for automatic deposits.